Help is here! 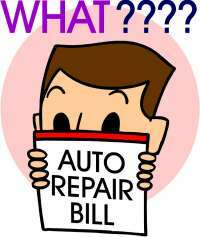 Learn how to do your own repairs and save money! This site is filled with articles written by skilled individuals. You will find step by step "How To", tips and tricks, and general guidance on fixing your stuff. Browse the article categories using the links to the left or Search from the Google Search box at the top of the page. Also, please visit the Google Ad links when you see something of interest to help keep this site free.